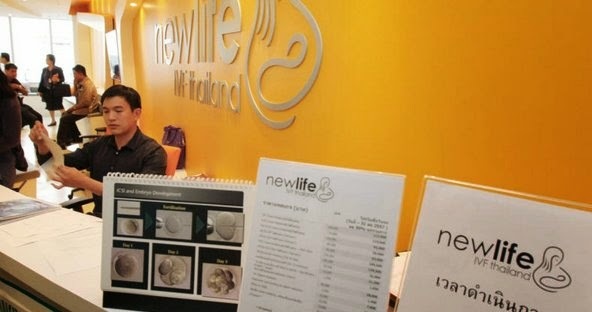 Police and health officials have raided and shut down an obstetrics and gynaecological clinic in Sathon on suspicion it has been operating as an in vitro fertilisation (IVF) clinic without authorisation. I think it's great that the Thailand government is cleaning up its system. This will help to protect patients. My prediction is that we are going to see the same scenario play out in India as well. There are many fly by night cowboy clinics, which are out to make a quick buck in India as well. There are at least 1300 so-called IVF clinics in India - of which only about 200 are registered with the Indian regulatory authority - the ICMR. The trouble is that these unrecognised clinics will cut corners and take short cuts to make a quick buck - and in the regulatory overzealous backlash which will be triggered off when their misdeeds come to light, good IVF clinics ( and their patients as well !) will suffer. What can you do as a patient to protect yourself ? Insist that your IVF clinic shows you their ICMR ART registration certificate. If they refuse to do so, you should smell a rat !